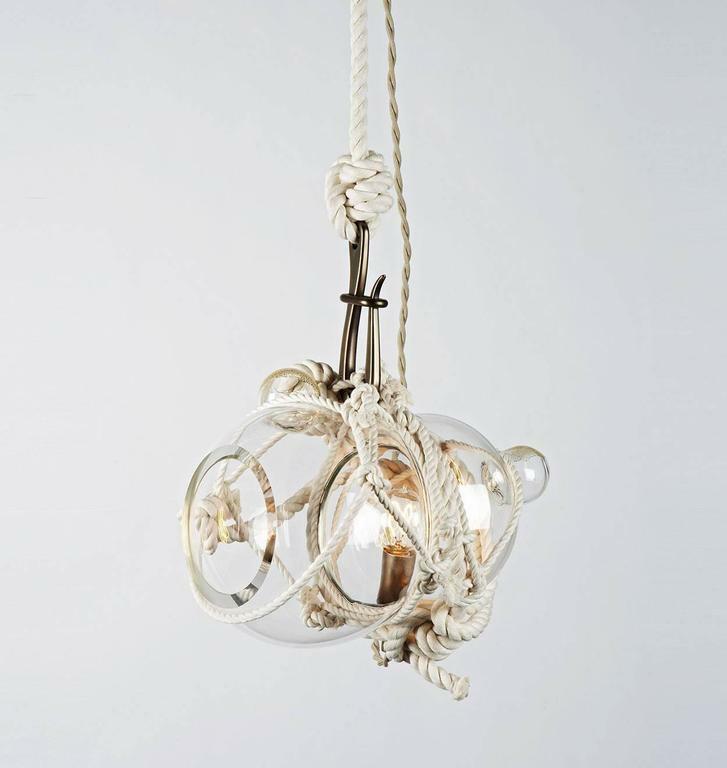 This Small Knotty Bubbles Pendant (small) by Lindsey Adelman for Roll and Hill is no longer available. 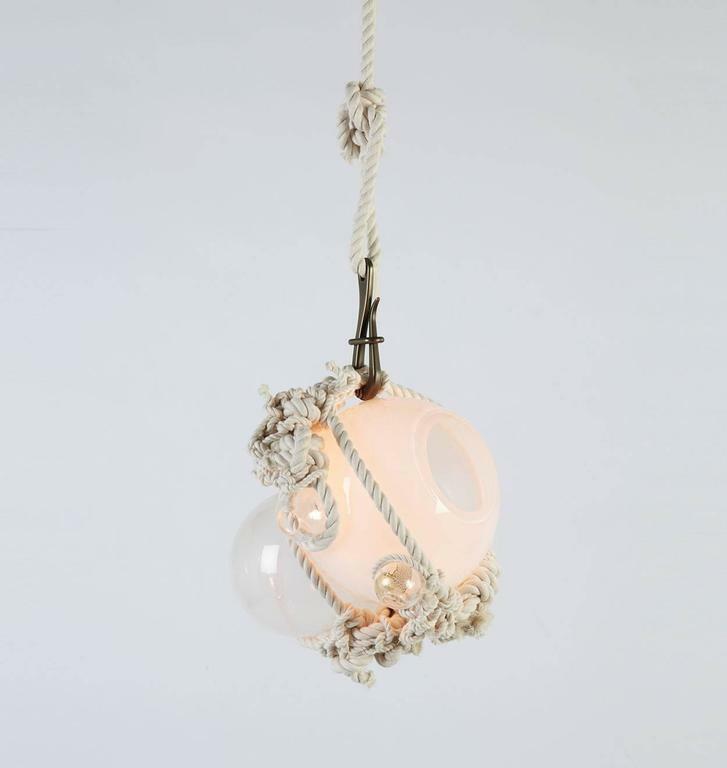 Heavily inspired by Japanese packaging and maritime culture, knotty bubbles is a sculptural light made of hand-blown glass globes tied together with knotted rope. 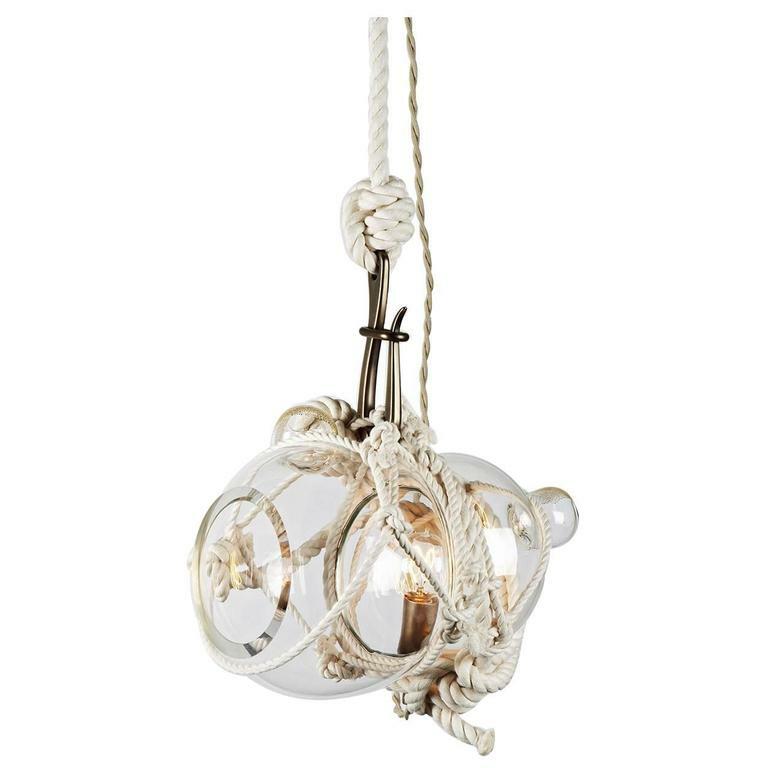 The handmade nature of the knotty bubbles ensures that each is a unique piece. 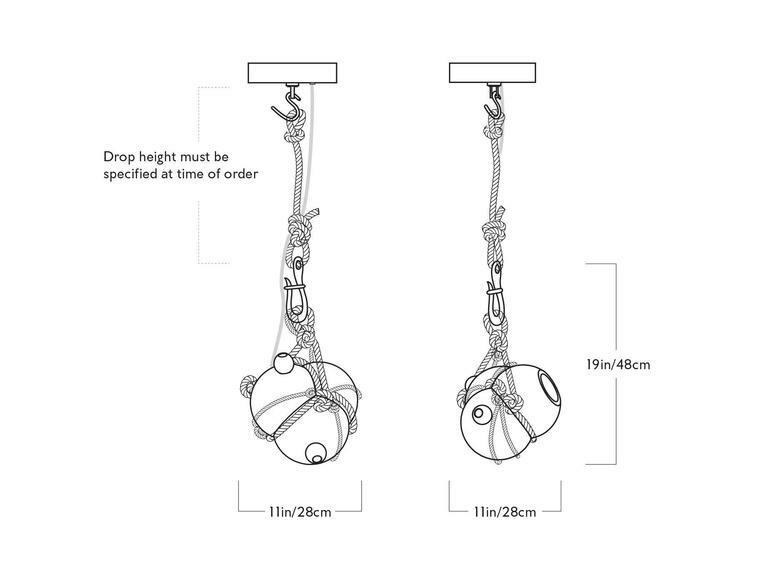 Please specify drop at time of order. 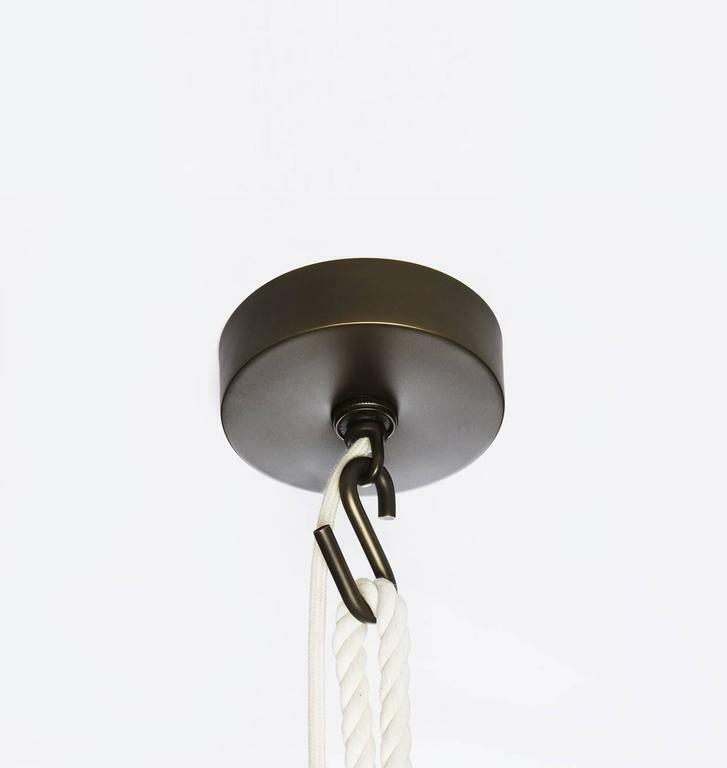 Available drop up to 10 feet at no additional upcharge. 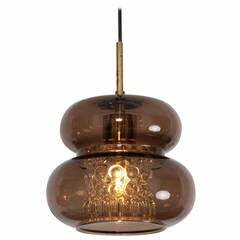 Designed in 2012 produced, circa 2013 Wood, malachite, bronze Excellent condition Measures: 48" H x 2.5" W x 2.5" D Provenance: Lindsey Adelman Studio NYC. 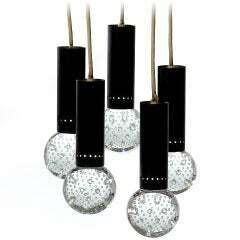 Glass pendant by Carl Fagerlund for Orrefors, Sweden. 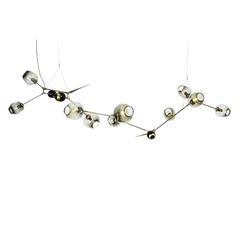 Double glass shades on brass chain. 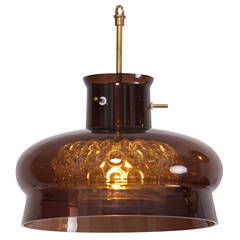 Pendant by Carl Fagerlund for Orrefors with pressed glass diffuser in a brown glass shade.